Competition is really stiff in every kind of business and for this reason, every business whether it is small or big has to concentrate on efforts that would make it stand out. Many companies and small businesses don’t work on creating a brand mission for their business either because of ignorance or because of a notion that it would cost them a bomb. However, branding consultants suggest developing a perfect brand mission that would start bringing in much better profits. 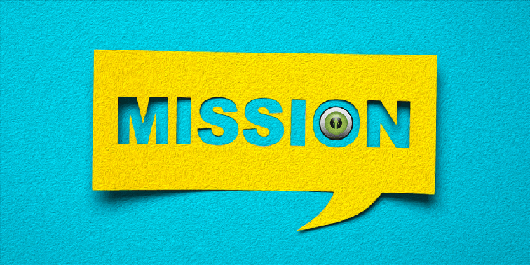 What is a brand mission? All the best companies and businesses in the world understand that a brand mission is a critical deciding factor to attract the ideal customers and retain them so that they don’t even think of a competitor. The brand mission of a business deals with defining how it achieves its brand vision and clarifies the ‘who’ and ‘what’ of a business. Corporate branding services professionals insist that a company’s brand mission should not be a mere statement but, it should reflect in the work carried out. Companies can benefit in a huge way by developing a clear and strong brand mission. According to branding consultants, the biggest benefit from a brand mission is the recognition it brings in the market and among customers. Even for small business, creating a brand image through consistency in messages, tone, and language of communication help and make it easier to attract prospective customers and retain existing customers. Also, it makes a business appear much professional which boosts customers’ and partners’ trust in the business. A perfect brand vision and mission drive the entire workforce towards a single objective that makes them united in their efforts and facilitates the business being much stronger. Let’s understand how a brand mission drives profits for your business. 1)According to the corporate branding services experts, companies or businesses that are driven by a brand mission have better growth prospects than that do not have a brand mission. Employees of companies with a brand mission work for a purpose and when they do so, they work with much more passion and dedication than that they do for just money. This brings a lot of difference to the productivity of employees and shows it results in the form of profits. 2)A brand mission generates consistency in the work and builds trust among the customers and partners. No customer would come back to a business and no partner would like to work with a business that does a job extremely well once and then dips to the lowest levels next time. Consistency enhances brand awareness among all that indirectly helps in the financial growth of a business. 3)In the opinion of branding firms, companies with a brand mission are equipped with greater clarity that enables faster and clear decision making. This facilitates setting appropriate priorities and determining the road to organizational goals. A brand mission drives profit growth for businesses because it helps in attracting not just the right customers but also employees that drive the business. It ensures clarity among employees and the leaders that drives commitment and dedication towards achieving the organizational goals with financial success. Branding firms can help companies in creating and developing a company’s branding strategy that helps it achieve its vision and mission.